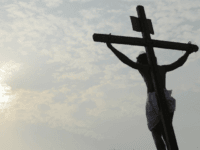 EDINBURG, Texas — The motto of “In God We Trust” continues to spread among Texas law enforcement agencies in this border area. Two of the most active agencies in the area have now placed the decals on their patrol vehicles in what they are calling a rallying point for all law enforcement. The first police agency to use the logo in this area was the San Juan Police Department, which placed the motto in dark blue letters on their patrol cars late last year. 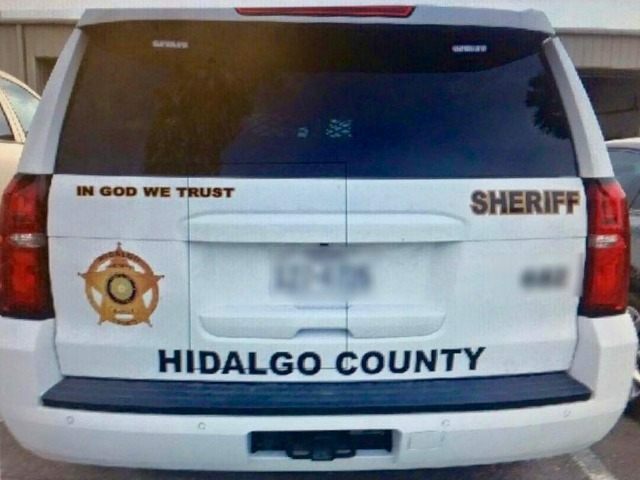 Now the Hidalgo County Sheriff’s Office is placing the motto on the patrol cars of any deputy who wants it. Guerra was approached by a group about placing the decals on the patrol cars. Like other law enforcement officials he had been concerned with the anti-law enforcement sentiment that has been spreading across the nation. The decals will not be paid with tax payer money and only be placed on the patrol cars that deputies take home. The decals will not go on undercover vehicles or other fleet vehicles that stay at the department. The decals are all paid for by a pro-law enforcement support group called Family in Blue. The group was started by law enforcement officials Amy Vela and Ricardo Garcia as a way to bring awareness and aid to law enforcement through special events. The organization had been helping raise funds for officers that suffered serious illnesses or family emergencies, as well as bringing attention to suicide prevention in the law enforcement community, Vela said. Family in Blue approached Sheriff Guerra with the idea of placing the motto on the vehicles. The sheriff consulted with his command staff and the idea quickly caught on. According to Vela and Garcia, Family in Blue is talking with other agencies across South Texas in an effort to create more unity within the law enforcement community and to spread the use of the “In God We Trust” motto.